This book recounts the fascinating history and the wide-ranging uses of iron and steel. Renowed scientific journalist Dr. Rainer Köthe offers a gripping yet easily understood portrait of the element, its provenance in cosmic fire storms and its abundance in nature. He traces the progress made by man in learning to better manufacture and utilize the metal. Other chapters describe how iron ore is extracted from huge mines today, how gigantic blast furnaces smelt that ore and how the resultant hot metal is converted into steel. 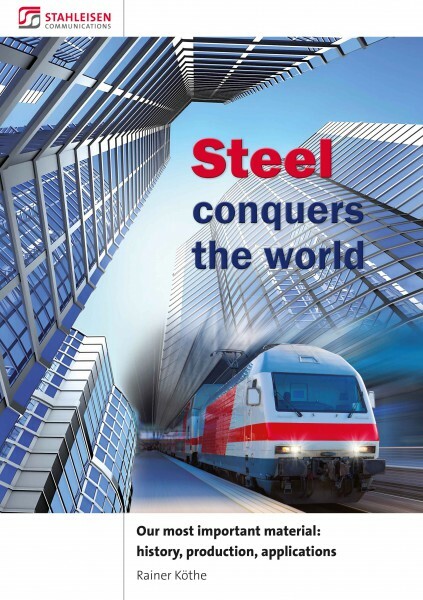 The reader is familiarized with certain downstream processes designed to form steel into its desired shape. And finally, this copiously illustrated book presents a number of truly spectacular applications to which iron and steel have been put. There is a hardly a chemical element more indispensable for our technology and civilization than iron. Further processed to make steel, it is by far our most important material and yet at the same time by far the cheapest metal. There is practically no object manufactured by man that contains no iron or that does not require iron as a means for its production. Even our bodies are reliant on this element. No wonder, then, that global steel production is constantly rising. And what a blessing that iron is so readily recyclable!